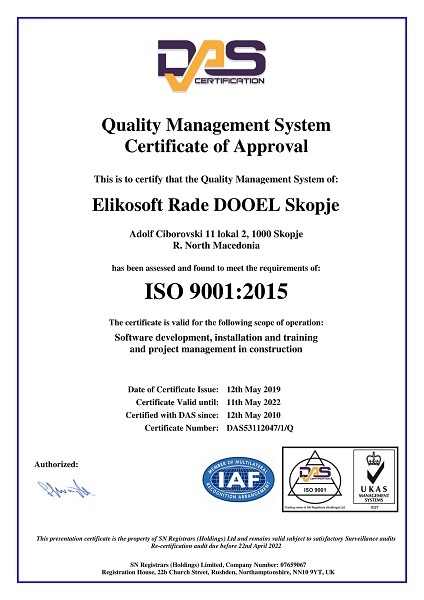 Elikosoft’s team expresses its appreciation for showing your interest in our company, our products and services. The protection of your privacy when using our website and services is essential for us. Hence, Elikosoft informs you that you can visit our website at any time whereby none of your personal data will be collected. We only gather that personal data that you voluntarily submit for any specific purposes while visiting our website. Thus, we may collect any of the following types of personal data: name and surname, contact telephone and email. The data you use while testing the demo versions of our software are available to you within a period of 30 days and after its expiration that data are automatically deleted from the database. We do not share any data related to you and your visit to our website with third parties. The personal data processing is performed in accordance with the acceptable practices that guarantee data safety, integrity, confidentiality, and availability. This website uses Google Analytics, which is a service for web analytics provided by Google Inc. Google Analytics uses the so-called "Cookies", textual files stored on your computer that allow analysis of your use of the website. The information on your use of this website, generated by the Cookies, is by default transmitted to and saved by the Google server in USA. Google uses this information to assess your visit of the website, generate reports on the activities performed on the website as well as to provide other services related to the relevant activity performed on the website and the internet usage on behalf of the operator of this website. 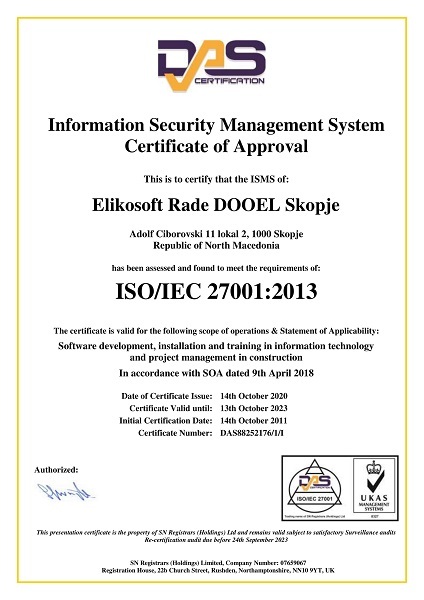 Elikosoft’s employees assure confidentiality and secrecy in compliance with the company’s values and norms, as prescribed in the Manual for the technical and organization measure for ensuring personal data confidentiality and protection according to the Statement for confidentiality and protection of the personal data processing. We guarantee compliance with the effective laws on data protection and confidentiality, whereby our processes are adjusted in such a way to provide efficient responses to the access requests and personal data review. 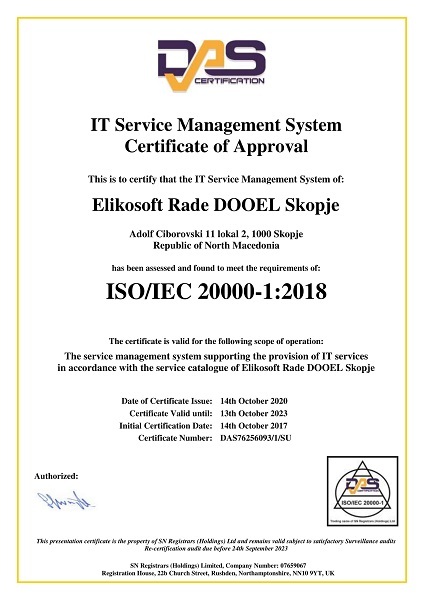 For additional information on the personal data processing, please contact us at the following contact telephone +389 (2) 3216-497; telephone/fax +389 (2) 3216-496 and the following email address: dataprotection@elikosoft.com.mk.